Kenneth Ehrman began his law enforcement career in 1994 as a Correctional Officer with the California Department of Corrections. Five years later, he transferred to the Department of Motor Vehicles as an Investigator, where he remains today. While at DMV, Kenneth has served in variety of assignments including Internal Affairs, Background Investigations, Fraudulent Document Detection Trainer, Defensive Tactics instructor and Verbal Judo Instructor. Kenneth’s assignments include the Los Angeles Police Department’s Community Efforts Combating Auto Theft (CECAT) Task Force as well as 4 ½ years as a member of the California Highway Patrol’s Ventura County Auto Theft Task Force (VENCATT). He has received Letters of Commendation and Certificates of Achievement from the Department of Motor Vehicles, City of Los Angeles, California State University at Channel Islands, The California Highway Patrol, Transportation Security Administration, The Golden Badge Foundation, United States House of Representatives, and the California Legislature. Kenneth received a Bachelor of Science degree from Sacramento State University in Criminal Justice and a Master’s of Science degree from the University of San Diego. He attended Leadership Development Academy at the University of California at Davis. He completed the FBI Instructor Development Course and is a P.O.S.T. Certified Instructor in multiple subjects. Kenneth is currently working on his Doctorate of Public Administration and serves as a Policing Fellow at the National Police Foundation. 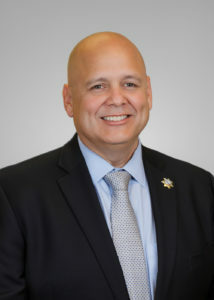 Kenneth also serves as President of the Association of Motor Vehicle Investigators of California (AMVIC), the Unit A Vice President of CSLEA and Sergeant at Arms of the California Fraternal Order of Police. In addition, he serves as the Chairman of the CSLEA Public Safety Foundation and Legal Defense Fund.